Along with the temperature starting to rise, the stronger the desire to set foot in a destination away from the stress of the city gets. With this, you may want to catch up on that well-deserved rest you’ve been dreaming of since the year began, or dream of embarking on a new adventure. Either way, a spectacular view is also one of the things on top of us Filipinos’ checklists when deciding which places to visit during the summer season. Here are a few places you can check out before heading on to your next summer escapade. Be sure to bring along your Samsung Galaxy A8 to capture each new memory! Half an hour away from the town proper is a spectacular view hidden along the plains of Bolinao. The Bolinao Falls is one of the most popular tourist spots in Pangasinan because there’s a lot to do here, from taking a refreshing dip at the pool to cliff jumping. Whether it’s you or your friend diving in, enjoy the water worry-free thanks to the waterproof feature of your Galaxy A8! Bolinao Falls’ cool blue green waters are the perfect for scenery and wide shots – so strike your best pose mid-air before diving in! This white sand wonder can be found off the coast of northern Cebu. Considered as one of Cebu’s hidden gems, Bantayan Island slowly made its way to social media popularity due to many tourists being struck in awe of its white sand and crystal clear water. Nevertheless, this laidback hideaway is the perfect place to lazily watch the sun and get that relaxation you crave. So whether you’re a sunrise or sunset junkie, capture the moment and make it last as long (or as short!) as you want with the Galaxy A8’s hyper lapse mode. Just when you thought Bohol’s famous Chocolate Hills couldn’t get any better, the Chocolate Hills Adventure Park can give you that adrenaline rush you’ve been waiting for this summer season. A must try among tourists is its bicycle zipline that’s 150 feet up in the air, placed between two hills over half a kilometer apart from each other. While you’re up above, don’t forget to capture the breathtaking views! 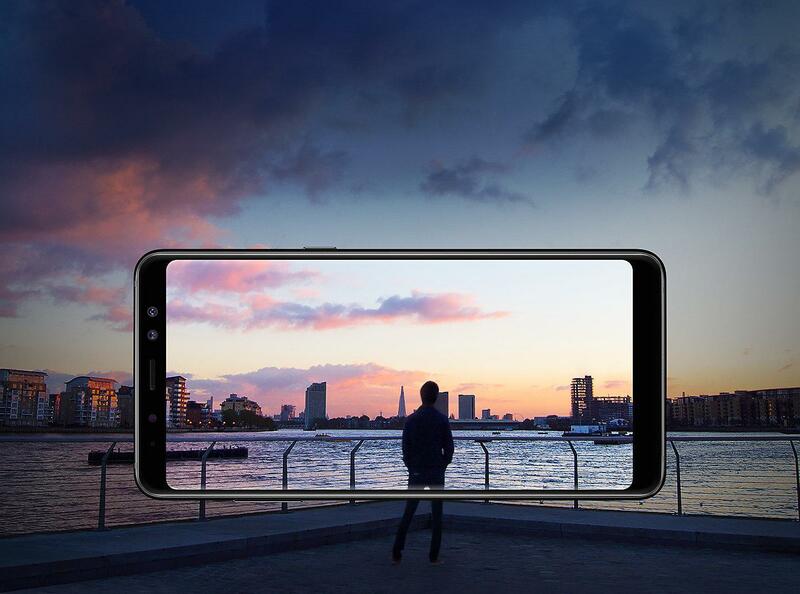 Thanks to Galaxy A8’s Digital Image Stabilization, you’ll be able to share clear, blur-free photos with your friends the moment you hit the ground. After your zipline adventure, also check out the adventure park’s hiking trails and campsite that allow you to relax and simply take in the photogenic view from the hills. Just around 5 kilometers away from downtown Romblon is this beautiful beach and sandbar that doesn’t need even a speck of post-processing because of the complementing shades of blue that the Bonbon Beach sky and waters offer. What’s good about this place is that it doesn’t have any commercialized amenities in the area yet, making it a beautiful backdrop for your lone islander-inspired shots. Whip out your phone and take photos whenever you want, the Galaxy A8’s water and dust resistant feature will make sure nothing will stop you from getting the perfect shot. Remember, though, to head to the sandbar during low tide season to fully enjoy the shoreline. With each picturesque destination, must also come a phone that will allow you to capture the beauty in each place without losing the magic in each moment. What better companion to take with you on your next summer adventure than the Galaxy A8 and A8+? Designed to capture the best of everything, the Galaxy A8 and A8+ sports a 16 MP rear and 16MP+8MP Dual Front Camera. It also has a Live Focus feature, video digital image stabilization (VDis) technology, and hyper lapse feature that you can play around and customize your photos and videos with. The Galaxy A8 (2018) and A8+ (2018) is available in select Samsung dealers nationwide. For more details, visit the Samsung Facebook page or log on to samsung.com/ph.